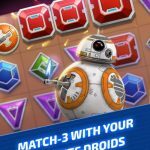 Star Wars: Puzzle Droids is the latest Disney Match 3 game to arrive for mobile devices, and you can now download it, regardless whether you’re an iOS or Android device owner. In addition, this is a new twist on the Star Wars franchise in mobile – instead of the usual in-depth card battlers or RPGs based on the franchise, you’ve got Match 3 mechanics, allowing you to enjoy the Star Wars universe on your device in a more casual, more familiar setting that doesn’t require much of a learning curve. Aside from matching the standard three pieces, you can match more than three for special pieces, use special power-ups to further clear the board, and complete missions and collect memory discs to unlock characters and “heroic memories” from the Star Wars movies, respectively. As you can see, the features of this game aren’t exactly too daunting, nor are they too unfamiliar for anyone who’s played many a Match 3 game in their life. 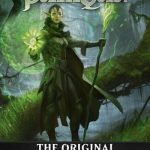 But as you may be expecting, there’s a lot of new ground to cover, and a lot of unique mechanics to explore. Read on, as our Star Wars: Puzzle Droids strategy guide is here to help you complete more levels perfectly, even the harder ones you may encounter later on in the game. When playing these higher-end Match 3 games, completing the goals or objectives becomes of paramount importance – you need to know, first and foremost, what you’re getting into each time you start a new level. All your moves count in one way or another, and that’s especially true if the level requires you to complete an objective using no more than the given number of moves. But it won’t be too difficult at first, as the first few levels will ask you to match or collect a certain number of same-colored circuits. After that, you’ll encounter more objectives where you need to destroy other types of spaces, such as rocks and ropes – these can be done by making matches in nearby squares. Then you’ll have those levels where your objectives would both have to be met in order to achieve completion – for example, one goal may ask you to break a given number of rocks, while the second would ask you to collect a specific number of colored circuits. You can’t meet one requirement but not the other – you need to complete both in order to pass the level! While the first few boards will basically be cut-and-dry, average, everyday Match 3 levels, succeeding ones may come with the aforementioned rocks and ropes, as well as other challenges. But you wouldn’t always be alone; for example, there’s a worm that gets rid of some of these challenges. And you also should be trying to match as many circuits as you could – in the out-of-the-ordinary situations we were referring to, this could mean matching the circuits so you can use the worm. So while it is useful to remove the blockers by creating matches next to the blockers, you may get better results if you’re able to activate the worm and use it. Star Wars: Puzzle Droids wouldn’t be a Match 3 game worth its salt if it didn’t include the ability for players to create special tiles. Instead of settling for matches of only three tiles, you should try to match four tiles or more in order to create a special piece that makes a bigger impact on the board. You’ve got your standard matches of four or five tiles in a row, as well as a few others, such as tiles created when you make matches in a square, or matches in a T-formation. Better yet, the game also allows you to make matches that feature two special tiles, thereby taking out an even larger chunk of the pieces on the board. Like everything else in this game, this would require some strategy, but if you know when to create these special pieces and when to use them together, you could easily rack up a string of three-star levels with little to no difficulty. Because we believe it’s not enough to stress the importance of creating special pieces, let’s talk about each of these pieces individually. The Power Surge can be created if you match four of the same colored circuit in a horizontal or vertical line. Depending on how you swipe (vertically or horizontally), you can use the Power Surge to take out a column or a row. The Electroshock is created by matching five identical circuits in a T-shape or L-shape. If you slide this piece into a normal match, that would take out the three symbols, as well as the eight circuits that surround them. The Magnet does even more than those two special pieces on its own, and it can be created by matching four identical circuits in a 2×2 square. This automatically destroys blockers such as rocks or ropes, and that could be really helpful as you try to achieve the goals of a level, though there is one catch here – the rocks or ropes are destroyed at random. Last, but not the least, the EMP is made when you match five circuits in a straight horizontal or vertical line. This is the most powerful special piece in the game, because if you match it with circuits of the same color, all of the circuits of that color get eliminated. You’ll want to use this any time you’re asked to take out a ton of circuits of a certain color. At some points in the game, you may be asked to make multiple matches when you’re near a rope or a rock. When you see crossed ropes, that means you will need two matches to take out that “double square,” while rocks may add an extra layer of sand to add to the two levels – in this case, you have to take out the sand first, then take out the two levels of rock. It’s part of the never-ending strategizing you need to do when playing this game. This is something we probably shouldn’t be telling you, should you be a longtime Match 3 game player. But this classic rule applies in Star Wars: Puzzle Droids as well – make those matches at the bottom, or near the bottom. This could allow for some dazzling chain reactions, as new pieces fall from the top, and hopefully match with the pieces they drop next to. Of course, this won’t happen all the time, but when it does, it’s usually a shortcut to a completed, hopefully three-star level. 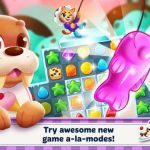 Playing Match 3 games and being successful at it is mainly a strategy thing, but luck can also play a big part in determining whether you get the three stars, or whether you fail the level. If the latter happens, then there’s oftentimes little you can do. Tile drops may not go your way, and if you’re trying to match a certain color, you might not always get what you need. In that case, it’s always a good idea to go on the daily grind and replay levels which you weren’t able to complete perfectly, or levels that you had failed. Replaying levels may often find you completing them easily, and some have observed that levels in this game do get easier with each succeeding replay. As we said several tips above, you’re not always alone. Aside from the worm, you could also make use of the power-ups that you can get in the game. But there’s one thing you have to remember about these power-ups – unless you’re willing to pay money for them, as in actual, real-life currency, they’ll be very hard to come by. That means you should hang on to them for as long as you could, and save them for the challenging stages, where skill and luck may not be enough to help you. Star Wars: Puzzle Droids’ difficulty can ramp up progressively before you know it, so if you use the power-ups while early, you might find yourself wishing you had them once the going gets very tough. Restraint is the key here, though if you really want to know which power-up is which, read on and check out the next tip. 9. Power-Up Round-Up – What’s In It For You? As promised, we’ll talk next about the different power-ups, and what they do in specific. The Blaster is one of two power-ups you get at the start, and it’s activated simply by tapping on any tile on the level, so you can take it out in one go. When using the Blaster with rocks and ropes, it’s only going to clear one stage or layer, and that means you won’t be removing that blocker from the board. The other introductory power-up is BB-8’s Torch, and this creates a line of five identical tiles, allowing you to clear a line in one go. Later on in the game, you’ll unlock the Buzzsaw, which allows you to tap on a circuit to take out the entire row and column it’s on. Lastly, the Ion Blaster will take out all circuits of a given color by tapping on a circuit. You can access your missions by tapping on the glowing disc on the upper right hand corner of the main menu. By completing missions, you can unlock new characters in the game, starting with Rey, but also including other beloved characters from the various Star Wars movies. And once you’ve collected enough characters, the missions can help you level the ones you already have. Leveling up a character comes with multiple benefits, such as getting gems (the game’s premium currency), new power-ups, and more energy that should allow you to play or replay more levels. Keep an eye on the mission points you need to unlock the next reward, so you know what to do and when to do it. That’s all you need to know to succeed in Star Wars: Puzzle Droids. 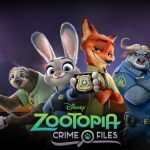 In case you know more hints for this Disney game, don’t hesitate to leave a message in the comment area!